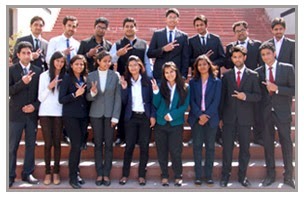 Established branded apparels’ company Madura Fashion & Life Style has selected 20 students of Lovely Professional University as Associate Managers during an on campus placement drive. Students of MBA (Marketing and Retail) of batch 2015 had attended the drive. After thorough conduction of the placement drive based on Aptitude Test, GD, Personal Interview; the selected students will join their duties pan India in the month of June 2015. The salary package offered is Rs 4 Lac per annum. LPU Pro Chancellor Mrs Rashmi Mittal congratulated the hard working students for their brilliant placement in the prime of their career start. A division of Aditya Birla Group, Madura Fashion & Lifestyle is India’s fastest growing branded apparel company and a premium lifestyle player in the retail sector. Along with leadership with its own brands, it has introduced premier international labels to make Indian consumers buy prestigious global fashion wears and accessories within the country. This company is defined by its brands — Louis Philippe, Van Heusen, Allen Solly, Peter England and People. It has an exclusive network comprising 1,703 stores for customers in cities including Bangalore, Mumbai, Delhi, Chandigarh, Pune and Chennai. Above all, it is an IT and web-enabled organization, and is the first-ever apparel company with the ERP SAP system.